Telescopic belt conveyors, or dock loaders, offer a safe and efficient loading and unloading solution. 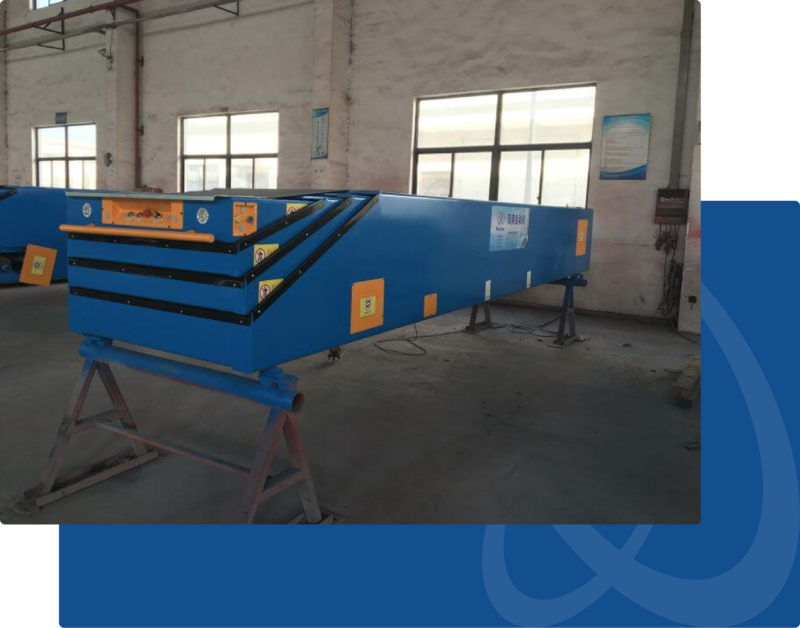 The main advantages are it’s simple operating system, and the ability to achieve a variety of positions by the operator extending and retracting the dock loader to its required position. Using a fixed telescopic dock loader provides a simple, safe and cost effective way of loading and unloading product. Ideal solution for distribution centres or warehouses. Allows loading processes to be carried out in an orderly, effective and time efficient way. Save labour – allows for a reduced requirement of warehouse operator involvement. Safe operation – reduces the risk of accidents as a result excessive manual handling or repetitive heavy lifting. A relatively cost effective way of investing in general site efficiency and operator well being. Reduces the potential for damaging goods due from product being handled multiple times. Suitable for boxed goods, bagged products, parcels, luggage, tyres, plastic boxes and barrels to name but a few suggestions. Robotic palletising solutions vastly improve industry productivity. Robots work harder, longer, and in a lot of cases faster than manual processes. Robotic systems can work up to 24 hours a day, for 7 days a week, without any reduction in performance. It also goes without saying that they require supervision or breaks, and are not prone to regular absenteeism. Andrews Automation solutions do all the heavy lifting for you, enabling your workforce to be free to spend their time on tasks that require thought and human judgement. The result is a system that maximises efficiency and improves site health and safety. Andrews Automation Ltd specialise in complete integrated systems. We can include pallet decanting options to automate the system even further, even develop bespoke robot gripper heads to physically pick up a pallet and place it in the palletising area prior to product palletisation. We can provide automated in-feed conveyors, indexing and queuing product prior to entry into the robot cell. 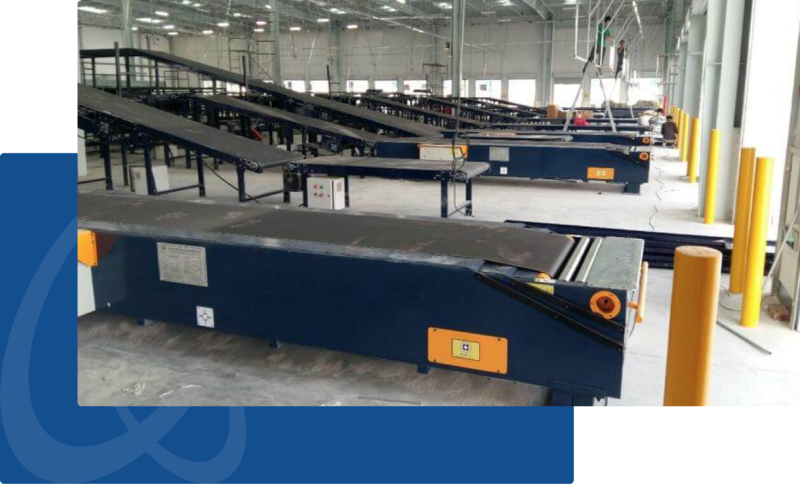 Once the palletising process has finished, we can also supply automated conveyor options to transport stacked pallets out of the pallet cell, ready for safe FLT collection and distribution.